We are pleased to announce a brand new range of DJ stylus and carts from industry leader Ortofon. 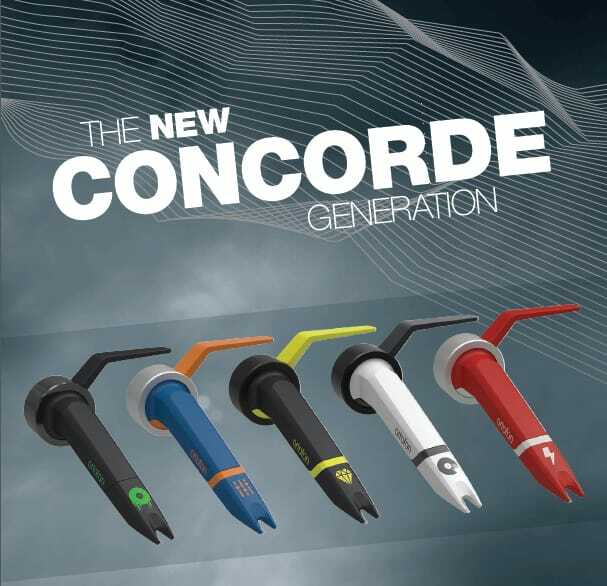 The New concorde range, whilst it will looks familiar to the previous version, this is a a whole new product range from Ortofon. There is 5 new products in the line up , each with a clearly defined purpose, making it easier for the customer to get the item they need . 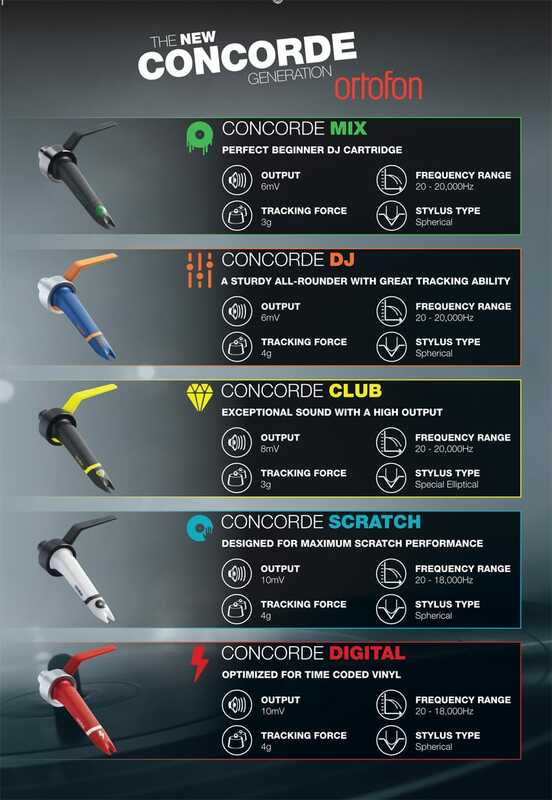 The 1st to mention is the CONCORDE MIX this is the entry level product and takes over from the Pro’s range perfect for home DJ set ups . The Next is the CONCORDE DJ , this is a level up from the mix and boast better tracking , great fro those DJs who may dabble in a bit of scratching , but mainly are mixing , a great all rounder . Then we have the 2 specialist editions the Concorde Scratch and Concorde Digital, i am pretty sure you can guess what their speciality IS ? yep you guessed it, Scratch for Scratching and digital for DVS users . And finally the top of the line is the legendary Concorde club now boasting even better sound quality and output . Check the illustrations below to get the full spec on each . All of the new range have had a face lift and now come in 2 tone colours which we think look great. Now with removable finger lifts that can be replaced should the worst happen and you snap one , just get a replacement and your sorted , a great idea we think. The stylus also has had a re-design and now has a definite click when putting on to the concorde, also the tip has been widened to give a better view of the stylus, great fro for checking its condition.